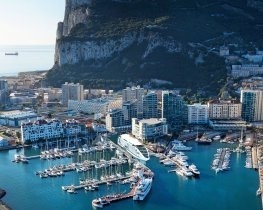 Classic Collection Holidays offer a superb selection of 4 and 5 star hotels in Gibraltar. Seen as the entrance to the Mediterranean Sea, this small British territory offers a beautiful, multicultural setting that visitors can explore. Choose a hotel overlooking the Strait of Gibraltar, the thriving capital city, or the fascinating Rock of Gibraltar. 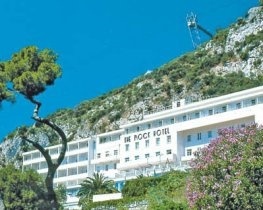 Stay at The Rock Hotel set into the limestone cliffside. Overlooking beautiful botanical gardens, this hotel offers a romantic setting in which to stay. Boasting an award winning restaurant, comfortable colonial style guest rooms and magnificent vistas across the Bay of Gibraltar, guests can relax in luxury. Experience the O’Callaghan Eliott Hotel situated in the heart of the city’s shopping district. Guests can enjoy the stylish rooftop pool with spectacular views over the city and high quality cuisine served at the hotel’s restaurant. Or try the elegant Sunborn Gibraltar set in the Ocean Village Marina. Guests can dine in the Sky Restaurant and enjoy panoramic views over the area, then venture out to the sundeck bar and enjoy a beautifully crafted cocktail as the sun sinks towards the horizon. 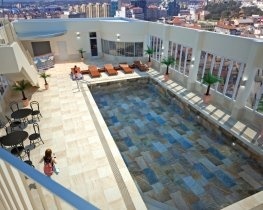 Please search below for your perfect luxury hotel in Gibraltar. Standing in the Ocean Village Marina and with the iconic Rock of Gibraltar as a backdrop, Sunborn Gibraltar is a brand new, unique floating hotel and the world?s first five star yacht hotel.